Black Friday Flashback – Part 1 – Ruby White Tips! Many hellos to you! Hola, Konnichiwa, Guten Tag, Hi, Hello, Hey there, How YOU doin’? Sorry I got sidetracked AS usual! This is going to be a small series of posts regarding some of the pretties that I picked up during the EPIC Black Friday sales that many makers had! Today I’m going to show you the pretties that I got from Ruby White Tips. I’ve reviewed one of her polishes before and was totally in love with it so I decided to pick up a couple more while she was having her Black Friday sales! I foresee my collection of RWT will be growing more and more as time goes on! 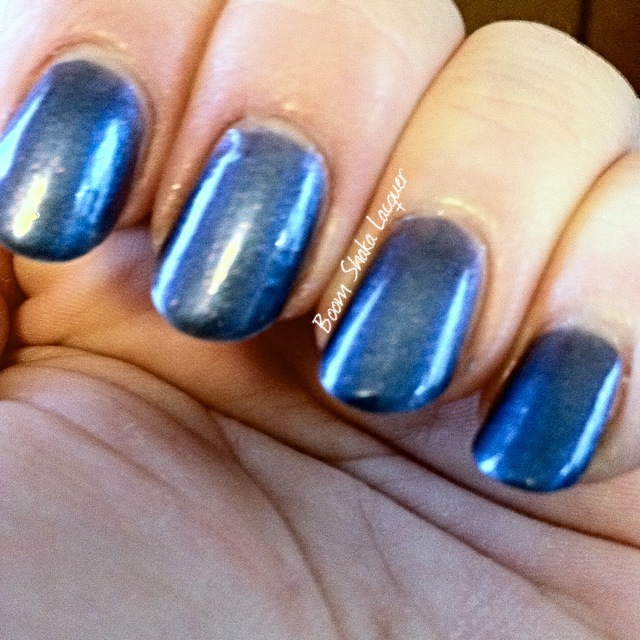 This is a fun polish because it is actually based on the hair of a friend of mine. Elise really DOES have pink hair (and it’s adorable). This polish is literally the exact shade of pink that her hair is! Elise’s Pink Hair is a lovely pink frost polish. The formula was excellent and even though it is a frost it does not show every brushstroke the way that some frosts can. The brushstroky (word? No I don’t think so…let’s pretend) frosts tend to be dated looking and this one is NOT. 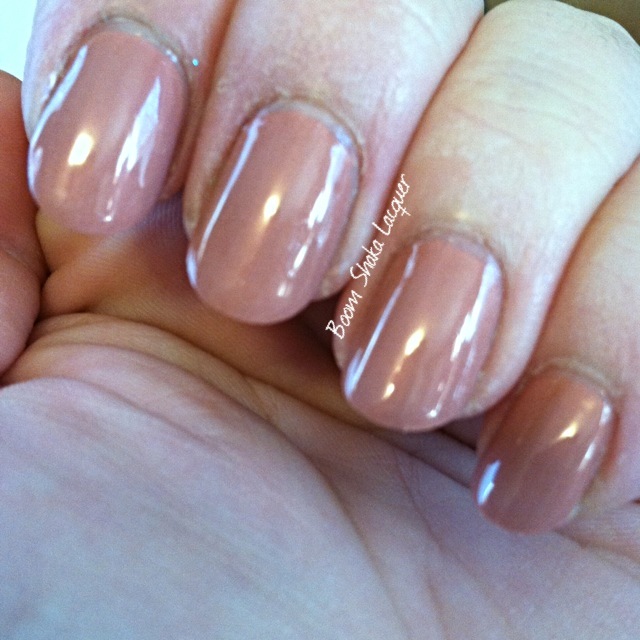 Picture shows two coats plus top coat. Next up I decided that I was going to glitter up that lovely pink polish so I added Ruby White Tips – It’s the Bomb, YO! So BOOM here ya go! Let’s talk formula…it’s amazing. I really didn’t expect anything else, but it’s always nice to be proven right. This picture shows ONE coat over undies. 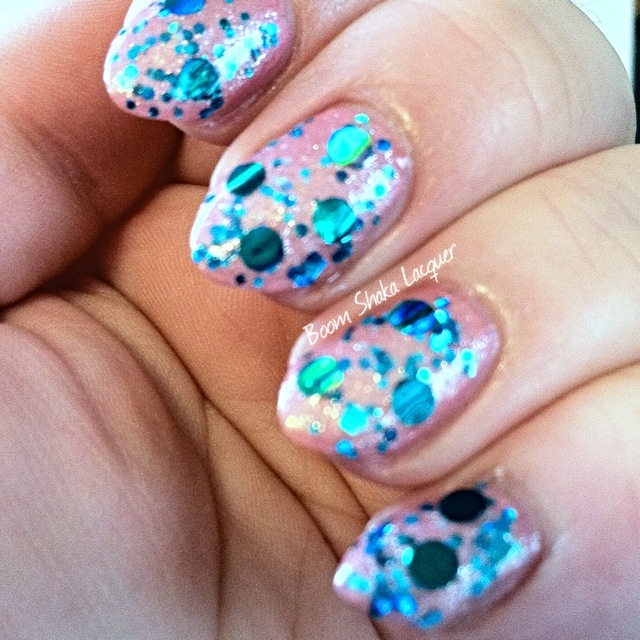 Now back to those giant dots…Laura really did something awesome with this in my opinion, her vision of this polish had large dots. 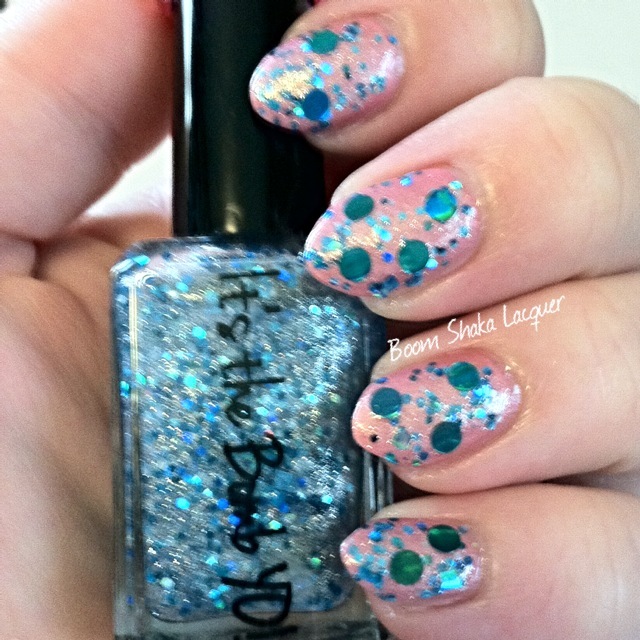 But, some folks struggle with getting these giant dots out of the bottle or placed in a way that pleases them so instead of mixing them in she includes a small bag of loose dots (easily enough for several manicures with the amount of dots I used). This allows you can hand place them yourself as you please or leave them off if you’re not feeling the giant dot love (it’s true there are people out there who don’t love giant dots…I know it’s hard to believe but you’ll have to accept it)! Truly brilliant in my opinion! As I expected I loved everything about these two polishes! I love that I was able to buy a polish based on a friend of mine and I love these two together, they just work! As usual you can keep up to date by checking out the Ruby White Tips website and facebook page, she even has a newsletter so sign up for that! There is a new collection coming up that I’m sure you won’t want to miss! You can purchase Ruby White Tips on her Etsy store! 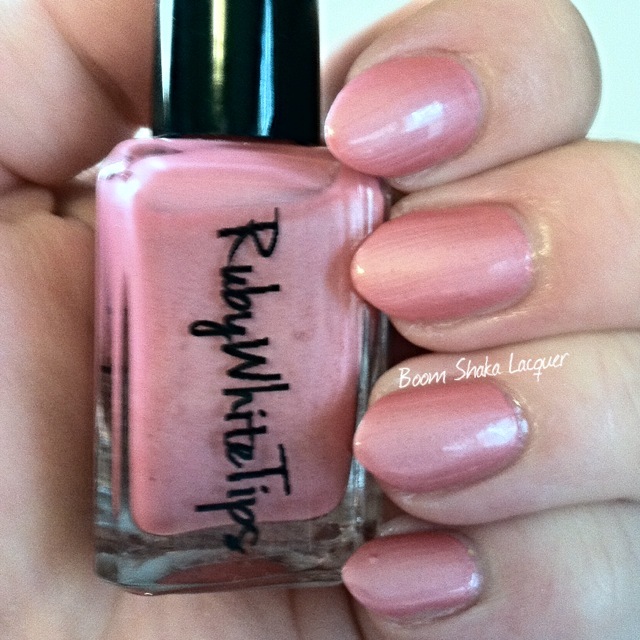 I am so thrilled to have finally got my mitts on a bottle of Ruby White Tips nail polish! 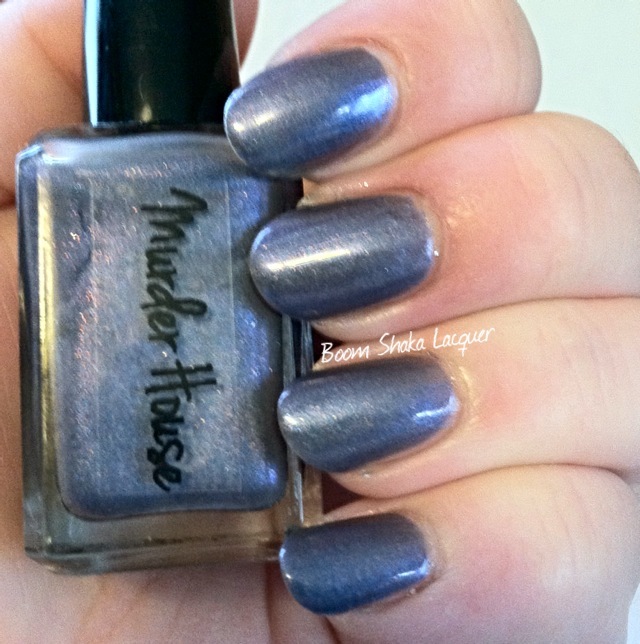 I’ve heard good things about them around the blogosphere and I’ve been stalking their website and drooling over the polish. Then something happened that motivated me to push that “add to cart” button like I’d been yearning to do. 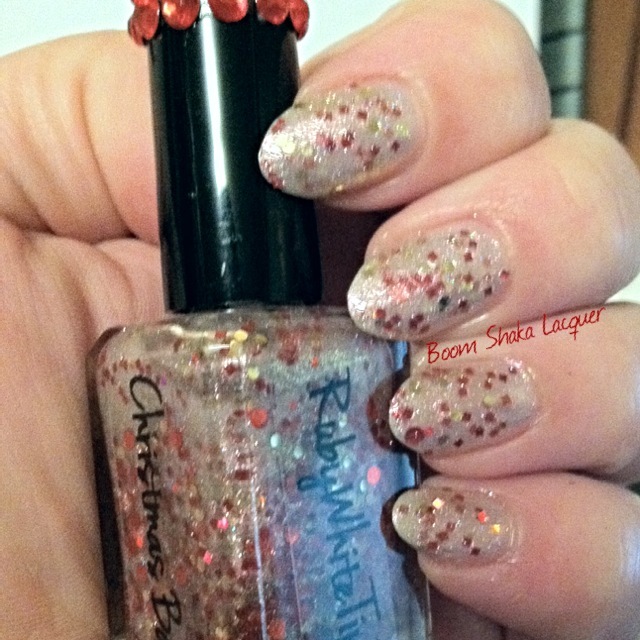 Laura, the owner of Ruby White Tips, released her Holiday collection which includes the polish I am going to show you. 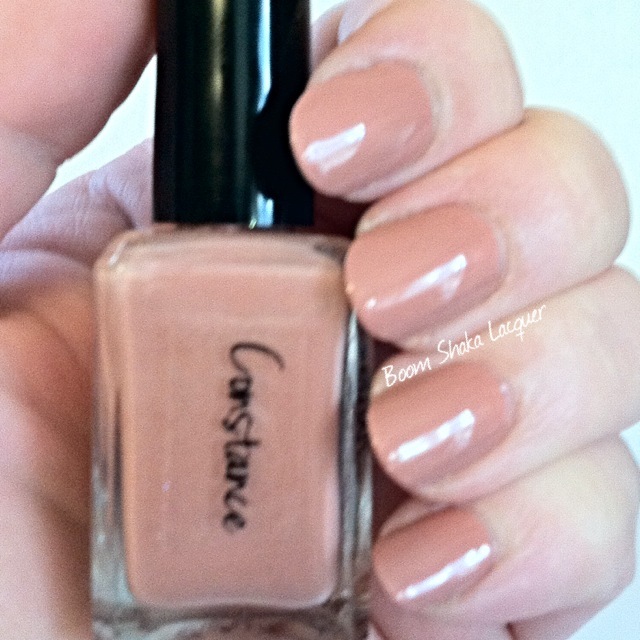 I love every single thing about this polish! Just look! Now first let me just say, I adore that there are little rhinestones stuck to the cap – I think that’s adorable! It makes it so girly and fun! I’ll give you a moment to collect yourself over the stunning polish. What we have here is a pearly shimmery base packed with tons of glitter, red metallic dots and squares and gold metallic dots. What’s really special about this polish though is that there is a color-shift in the base and so in some lights it looks pink! I tried to capture that pink shift for you! It really is such a lovely sparkly polish, and dare I say it, FESTIVE! 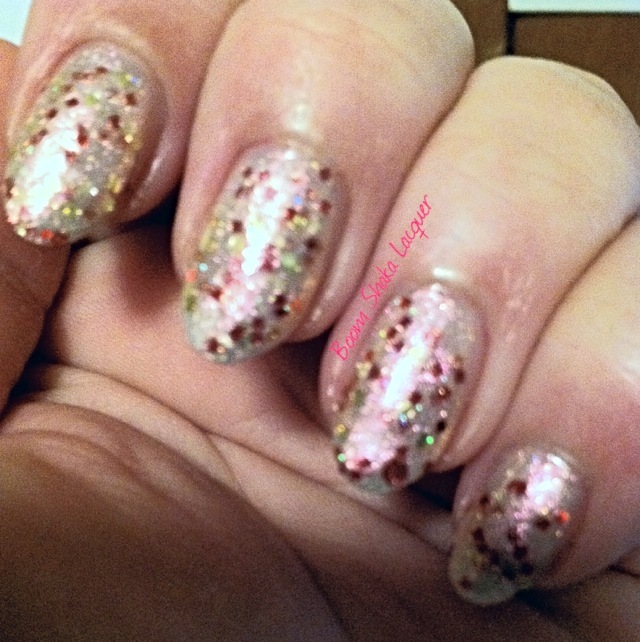 Application was easy breezy, really one of the easier glitter polishes I’ve ever applied. 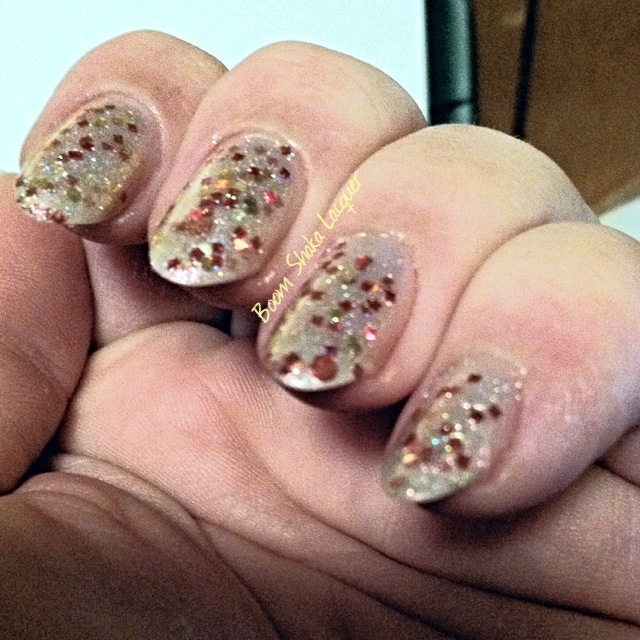 The glitter spread out evenly without manipulation and even though the polish is sheer and takes about three coats it does build up very easily to reach opacity. I would definitely recommend this polish and since this I have scored a couple more bottles that I’ll be showing you in the near future! You can keep up to date with Ruby White Tips on their facebook page and website (definitely follow them on facebook so that you will be kept in the loop for her contests and giveaways!) and you can buy Ruby White Tips in their Etsy shop!